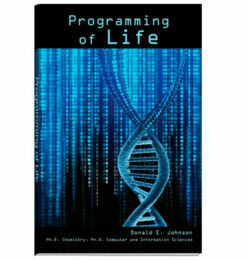 The original “Programming of Life” book highlighted the informational aspects of life that are usually overlooked or ignored in chemical and biological evolutionary scenarios. Each cell of an organism has thousands (or millions) of interacting computers reading and processing digital information using algorithmic digital programs and digital codes to communicate information. Life is an intersection of physical science and information science, and the reality of real computer hardware and software in life was clearly demonstrated. 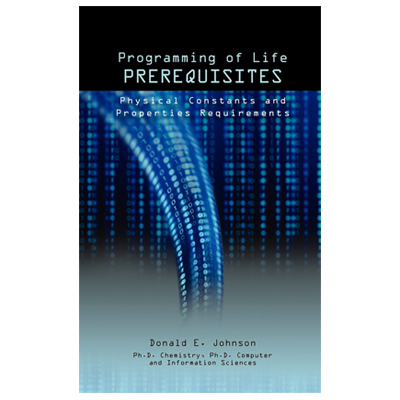 This “Prerequisites” book considers the properties of nature’s constants and natural laws that are required for such informational structures to be incorporated in even the simplest life. Analysis of the probabilities of life’s required component’s properties occurring anywhere in the Universe shows infeasibility by “natural processes.” Science is in need of answers, not unsubstantiated speculations.